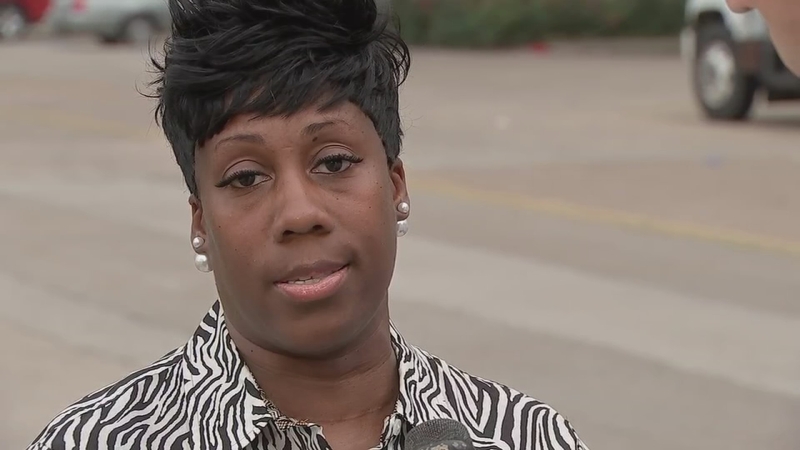 HOUSTON -- Two detention sergeants and four supervisors at the Harris County Jail have been fired in connection to the mistreatment of an mentally ill inmate locked in a cell, which was first reported last year by Ted Oberg Investigates. Earlier this month, Detention Officer Sergeants Ricky D. Pickens-Wilson and John Figaroa were charged with tampering with a government document. 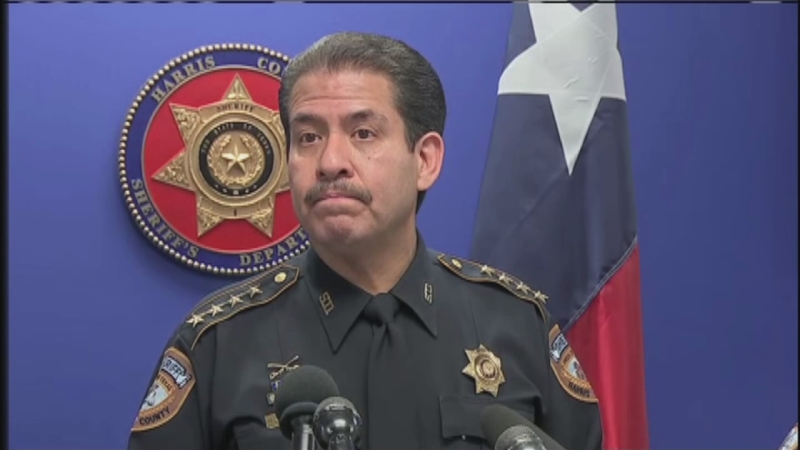 Harris County Sheriff Adrian Garcia announced on Friday that both employees, along with four of their supervisors, have been fired. An additional 29 employees are being suspended without pay for up to 10 days. Their positions range from detention officer, sergeant, deputy and certified sergeant. The major in charge the building where the inmate was held is being demoted to a lieutenant. And Chief Deputy Fred Brown, who oversees all jail operations, will retire next week, Garcia said. Garcia described Brown as a "good man" and said the mistreatment of inmate Terry Goodwin stemmed from a "bad attempt to avoid conflict with a violent inmate." Goodwin's mother called the punishments, and particularly the one- to 10-day suspensions handed out a "slap on the wrist." "Ten days? 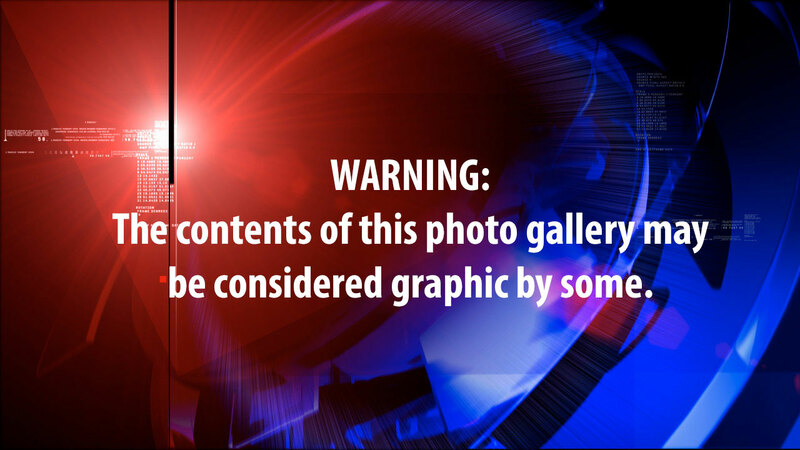 I'm furious," Mashell Lambert told ABC-13. "For what they did to our son just 10 days? This is not what I call justice. This is a slap on the wrist. They say and watched our mentally ill son deteriorate and prepare his cell to commit suicide and did nothing." Goodwin's case was brought to light by whistleblowers who reached out to Ted Oberg Investigates last year with the allegations and photos taken from inside the jail, showing a cell full of trash and swarms of bugs. See the original investigation here. Shards of Goodwin's orange uniform were hanging from the ceiling light when he was found, photos show and according to whistleblowers, who also described that the cell was filled with piles of Goodwin's feces. His sink, toilet and shower drain were clogged, not just with feces, but with toilet paper in an apparent attempt by Goodwin to cover his own waste and with orange rinds, perhaps in futile effort to mask the smell. Also revealed at the Friday press conference was that members of the jail's medical staff were aware of Goodwin's condition in the cell during the weeks he was locked inside. Dr. Michael Seale, executive director of health services at the jail, refused to describe the incident as a communications breakdown, but did say that members of the jail's mental health team did see Goodwin as he was kept in his fetid cell. "They documented it in the medical records," Seale said. "They followed policy and procedure." No jail medical staff were disciplined, Seale said. Seale said he was not told of Goodwin's condition at the time. Also, Garcia has long maintained that he was not aware that Goodwin had been kept in such conditions until Ted Oberg Investigates began asking questions about it -- something that Goodwin's mother does not believe. "Absolutely, Sheriff Adrian Garcia knew," Lambert said. "His highest officers knew and he did not?" 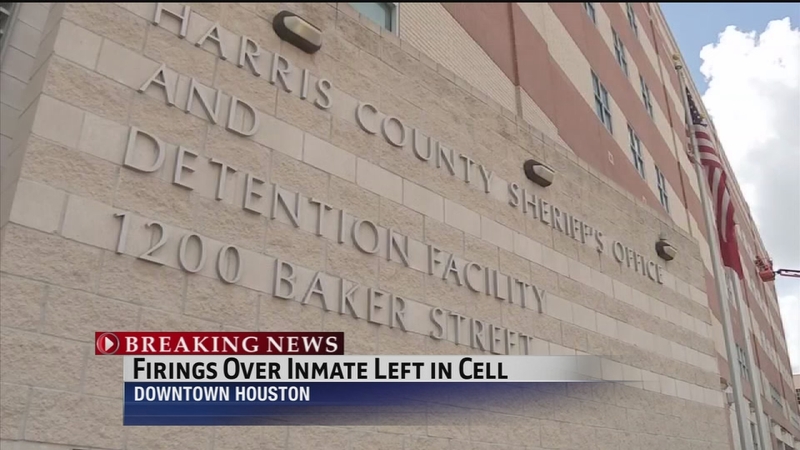 The executive director of health services at the Harris County jail, refused to describe the incident as a communications breakdown, but did say that members of the jail's mental health team did see Goodwin as he was kept in his fetid cell. None of his staff were disciplined. Both Garcia and Seale said the rules have now been changed so that detention officers and and medical staff can alert officials higher up in the command structure of the chain of command if they see something amiss, such as an inmate being kept in Goodwin's condition. When the story broke on ABC-13 in September, State Senator Rodney Ellis, D-Houston, called the Goodwin incident "the worst incident of abuse in a jail in Texas in probably the last 10 years." Garcia said his disciplinary measures and new policies will improve the jail. "How many of you have ever heard that phrase, 'That's the way we've always done it?' Garcia said. "That was the way we were always doing it until we realized we needed to improve it. We learned about this and understood there could have been a faster response earlier on." Goodwin was discovered by a jail compliance team in his fetid cell October 10, 2013. He was taken to Rusk State Hospital for mental health treatment on October 30, 2013. He stayed at Rusk until February 27 and was declared competent for trial. According to interviews with whistleblowers, many officials in the jail knew about the cell and its condition, including at least three lieutenants, one captain, one major and two chief deputies, including Garcia's Chief Deputy Brown, whose retirement was announced Friday. "This was an issue that needed action," Garcia said. "People should have followed up and followed through. When you move up the food chain, opportunities for do-overs become less." Several days after the story broke last September amid withering news coverage, Garcia announced that he was "damn angry" that it happened and unveiled a multi-point plan to make sure no one in the jail would be treated like Goodwin again.